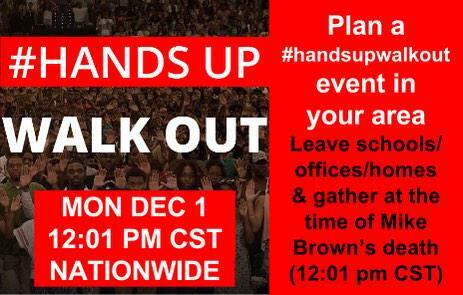 Ferguson protesters are planning a “Hands Up, Walk Out” boycott for Monday December 1, 2014. The Ferguson National Response Network has posted a list with over 50 schools and businesses signed up for the boycott. 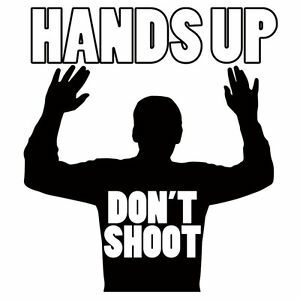 For the record… Michael Brown did not have his hands up when he was shot dead by Officer Darren Wilson.